The Polo Julep Cup filled with an icy libation is the epitome of style and ease. 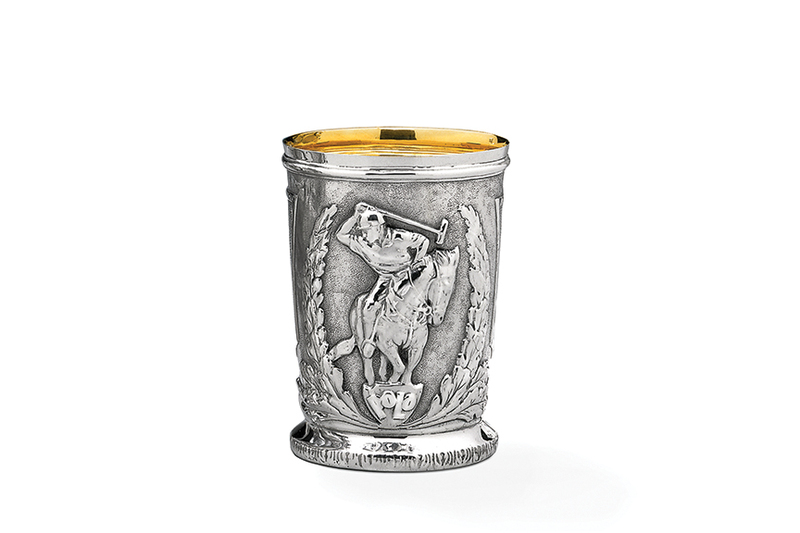 The vigor of the sport framed by a laurel garland makes this cup a work of meticulous art in ravishing repoussé sterling. Height: 4 1/2". Capacity: 11 fl oz.